It's a flat faced polymer trigger. 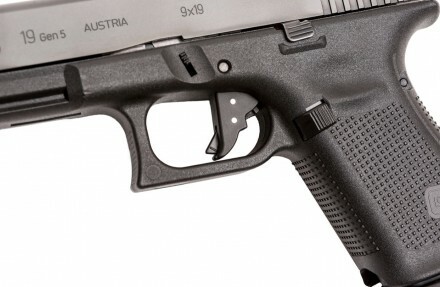 It uses the same material as the OEM trigger instead of metals like many aftermarket triggers. LAV himself posted on Soldier Systems Daily that this came as a request by a Federal LE counter terrorism unit. The take-up is the same as factory trigger, but over-travel was shortened.